When I start writing a book, I have a particular title in mind. In fact, the titles are often writing prompts for me. When I first started working on Liz Talbot’s next adventure, it was going to be Lowcountry Boughs of Holly, and it was going to be a Christmas book. But then there were things I wanted to include in the book that didn’t fit with a Christmas setting, so it became Lowcountry BOLO–as in Be on the Look Out. But that title didn’t fit the book exactly right, (and to be honest, I had to explain it to a few folks, and that’s never good). After much thought and discussion with everyone involved, we settled on what I think is the exact right title for this particular book, Lowcountry Bookshop. The characters and plot are exactly the same as when I first started writing the book, but the new title lent itself to this lovely cover, which I’m delighted to share! It will be up for preorder soon–stay tuned for details and for info on the launch party in Greenville on release day, May 29, at Fiction Addiction, and an exciting pre-launch event in Charleston on May 19. Save the dates! I can’t wait to get my fingers on this one in May. Keep up the writing. You bring a little bit of you in every page! I’m so excited. I can’t wait. I’ve never been a big reader, but with all your books, I can’t put them. Can’t wait! Love your stories, characters, settings. I’ve never been to SC, but your books have me feeling as though I was there! I am so excited for a new Liz adventure. I am about to start on your last one…I have been super busy with hardly any time to read and I k ow that when I pick your book up I cannot stop! I am so excited for a new Liz adventure. I am about to start on your last one…I have been super busy with hardly any time to read and I know that when I pick your book up I cannot stop! Can’t wait to read the next installment of the Liz Talbot series. Thanks for bringing good news to my day, Susan. 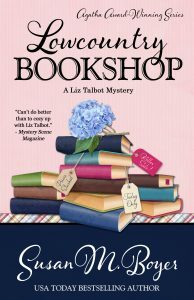 Can’t wait to read Lowcountry Bookshop! Always so ecstatic over your new release! Wonderful title, and I can’t wait for more Liz! I can’t wait! I love Liz!! CANNOT WAIT!!! Great way to start summer! I discovered your books last summer and enjoyed every single one of them. So happy another one is on the way! Beautiful cover for what is sure to be a beautiful book! Can’t wait! It looks so enticing. I adore all of your Liz books. Great stories! I’ve already read Lowcountry Bookshop….now anxiously awaiting the next book!! Read Lowcountry Bookshop in one afternoon….now anxiously awaiting the next book!! 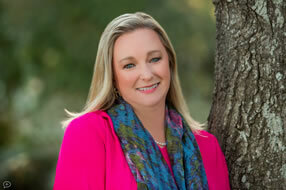 I love everything about your Liz Talbot lowcountry mysteries! Will there be a book #8? Hey Suzanne! I’m delighted to hear that! Yes, there are at least three more books planned in the series.